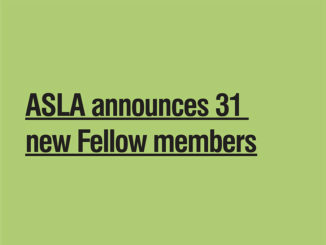 55th IFLA World Congress 2018 in Singapore will be a significant event for landscape professionals in the world. Supported by 5 regions – Americas, Europe, Africa, Middle East and Asia Pacific, it sets the stage at the ‘City in a Garden’ for professionals, government bodies and academics to be part of the in-depth discourse on trends, challenges, and business opportunities on a global scale. IFLA World Congress 2018 is the key platform that champions landscape architecture as a major contributor to the development of attractive, liveable, equitable, and sustainable environments of the future through the themes of Biophilic City, Smart Nation, and Future Resilience. 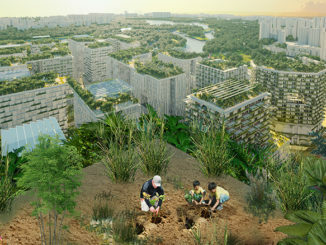 This theme examines our discipline and the practice of landscape architecture in the context of rapidly growing cities. Citing Singapore as an example of a Biophilic City, Timothy Beatley rhetorically questions “Exactly what is a biophilic city, what are its key features and qualities?”. Positioning landscape architecture in the context of an increasingly digitalised society, we aspire to extend our ability to measure and assess our environments beyond our physical senses through the aid of remote sensors and probes. Understand how landscape architects play a role to overcome compromised critical infrastructure systems within the city. Increasingly, landscape architects work beyond their disciplines to develop frameworks, concepts and tools with other fields of expertise to overcome challenges that threaten loss in biodiversity, inundation, and other environmental conflicts.